The Butterfly Base is a stable display base with a lighter impact on budgets, time and resources. The ingenious design contains pre-glued supports that open out automatically when you set up the base. This integrated support system cuts down on material use by 15% without reducing the overall load capacity of the base. 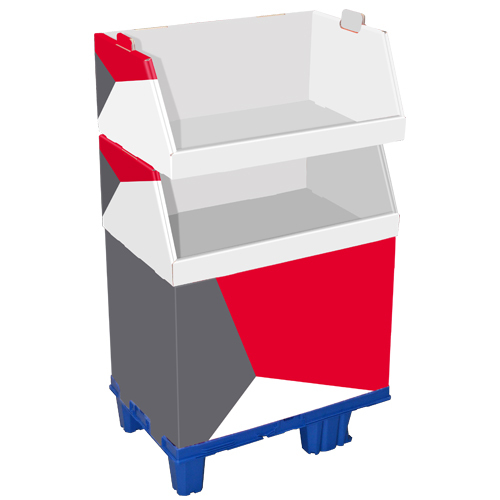 As an added bonus, assembly is faster as you no longer have to insert a separate support; and one component takes the place of two or three.When combined with the Chep Blue Click® range of pallets – into which the Butterfly base slots very easily – base assembly time is reduced by 50% overall.